The intact dinosaur tail recently uncovered by researchers. Chinese researchers have recently uncovered the first ever dinosaur tail. According to a report published this past Thursday in the journal Current Biology, the tail sample includes bones, traces of blood and soft tissue as well as feathers, confirming theories based on previous fossil evidence that dinosaurs indeed had feathers. “It’s amazing to see all the details of a dinosaur tail – the bones, flesh, skin and feathers – and to imagine how this little fellow got his tail caught in the resin, and then presumably died because he could not wrestle free,” said Professor Mike Benton, from the School of Earth Sciences at the University of Bristol, to The Independent. Semitranslucent and from the mid-Cretaceous era, National Geographicdescribes the sample as being roughly the size and shape of a dried apricot. The tail itself is around 1.4-inches long, and comes from the middle or end of a thin tail, covered in chestnut brown feathers with a pale white underside. 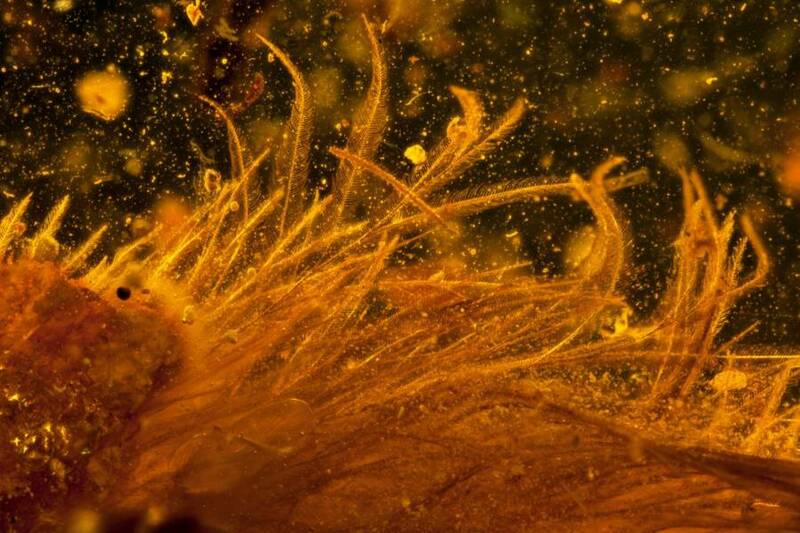 A micro-CT (X-ray) scan reveals delicate feathers covered the dinosaur tail. 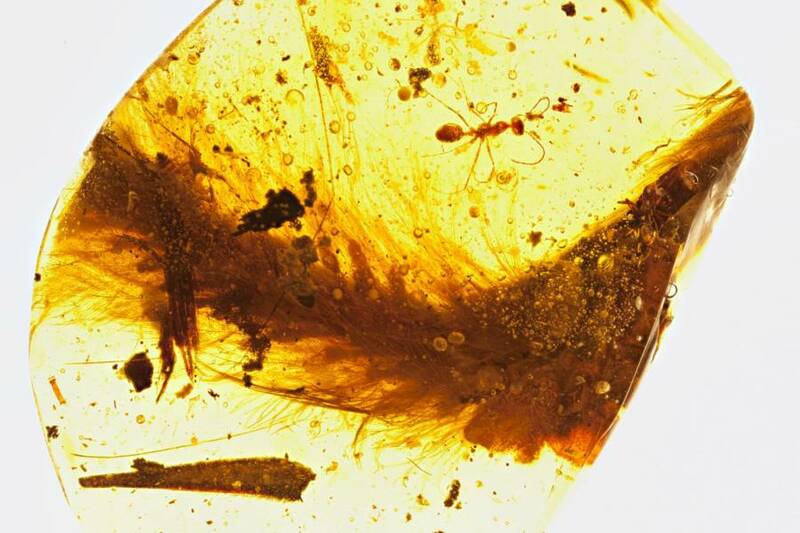 Chinese researchers found the tail preserved in amber, where it sat for almost 100 million years, at an amber market in Myitkyina, Burma known for turning up rare dinosaur parts. 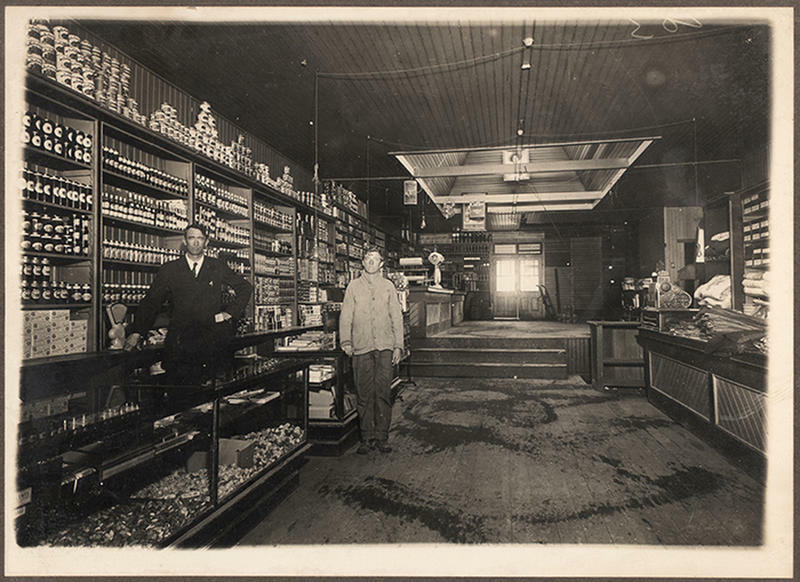 Earlier this summer, two other samples from this market were found to contain dinosaur-era bird wings. Researchers believe the newly discovered tail came from a genetic cousin of the Tyrannosaurus rex, a small juvenile from the theropod family — meaning carnivorous two-legged beasts — who lived in Asia 99 million years ago. However, other specimens may be hard to find. Scientists cannot access the amber mines of the Hukawng Valley, where the dinosaur-rich samples come from, thanks to a bitter guerrilla war between the Burmese government and the Kachin Independence Army. “Maybe we can find a complete dinosaur,” he said.